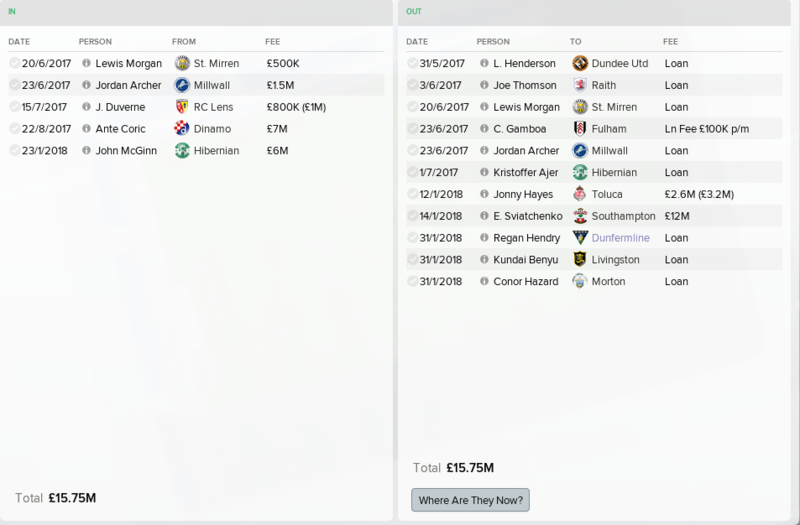 The first thing I identified was another CB - I didn't want to be using Nir Biton as a makeshift when I could pick up Jean-Kevin Duverne for what turned out to be a bargain £1m. 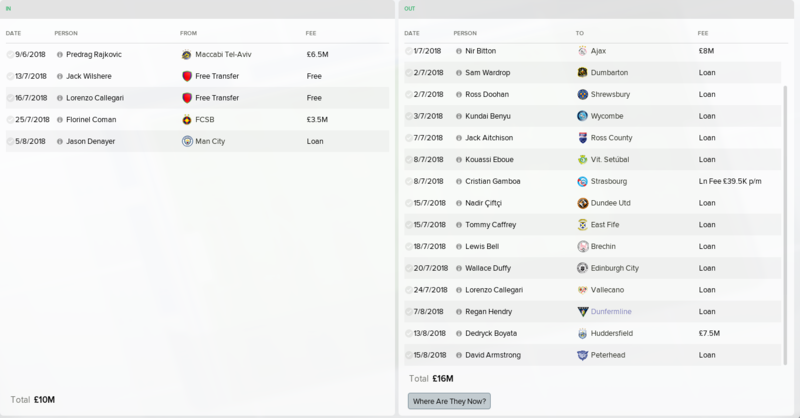 Ante Coric was available for £7m - a fee that I am almost certain I can treble within a couple seasons. Buy-develop-sell. 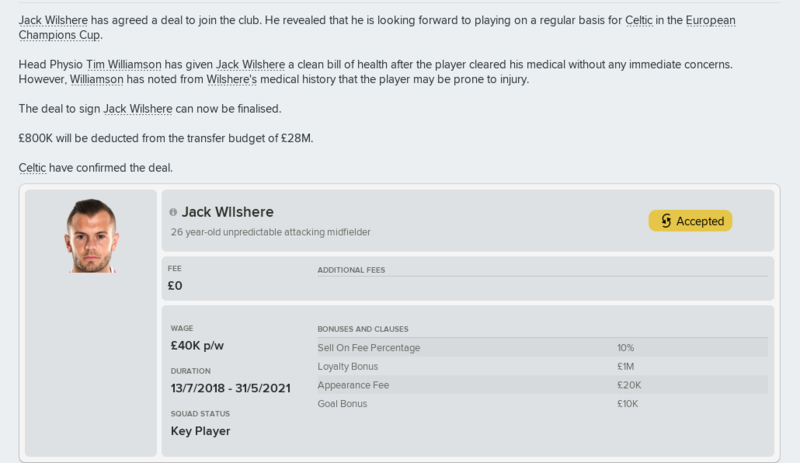 Lewis Morgan and Jordan Archer both joined but were loaned back out as they probably wouldn't have got much game time this season. Looking for both to break into the team next season and become Scotland regulars. 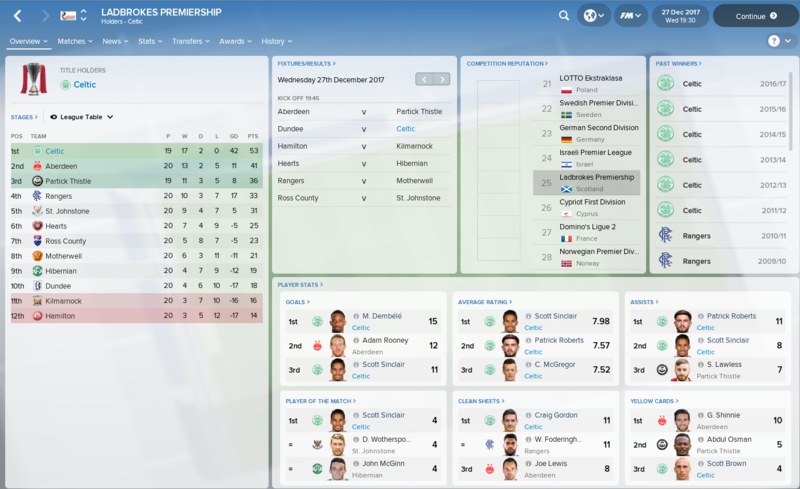 A few players went out on loan to get some game time - mostly in Scotland so they should come back ready to challenge for a place. Cristian Gamboa went to Fulham as Mikel Lustig has been my first choice with young Tony Ralston deputising. 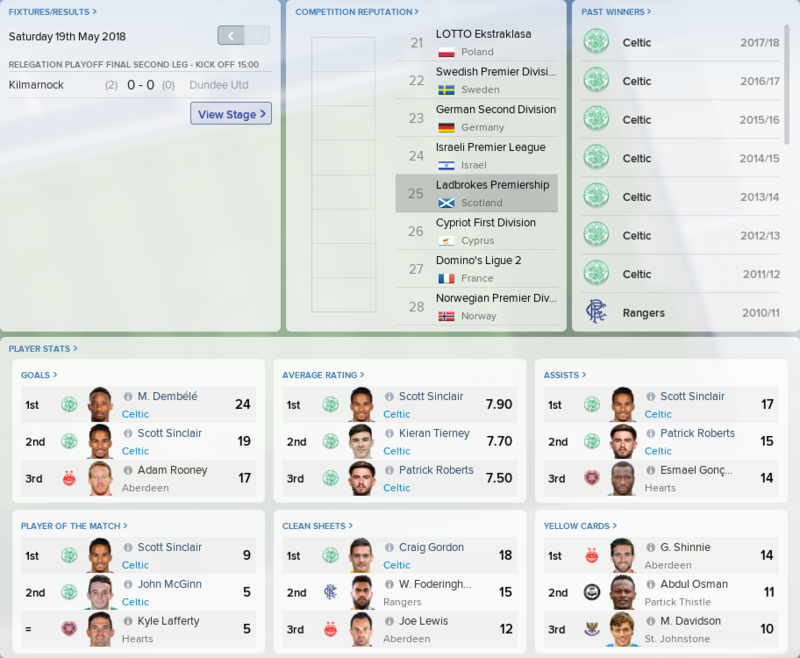 Does the 10 in a row stand for how many Celtic careers you'll have on fm18? Good luck Sean as ever! 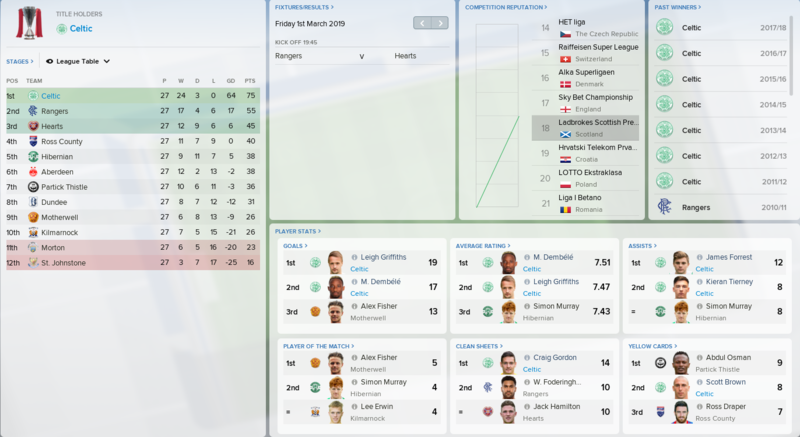 Domestically we have cleaned up so far - stretching the unbeaten run out from the Ronny Deila era. We came very close to it ending agains Hibs at the end of the season but a injury time penalty from Scott Sinclair kept it going. We sit 8 clear at the top with a game over Aberdeen. 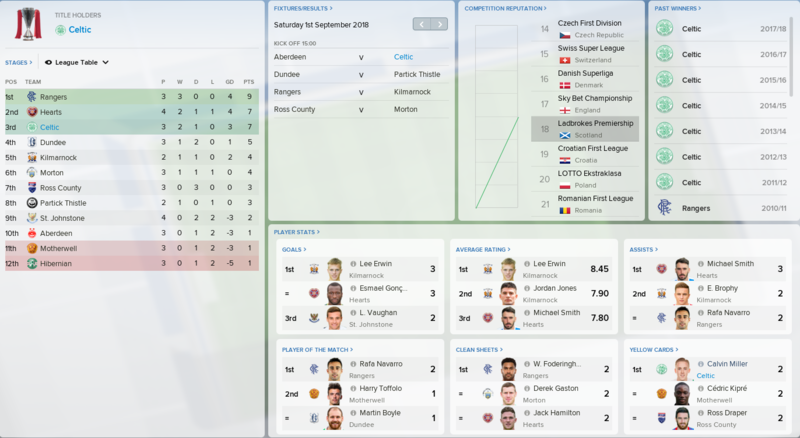 The League Cup was also a clean sweep as neither of the sides were able to put a goal past us - thought it did get tense when Partick Thistle took us to injury time. 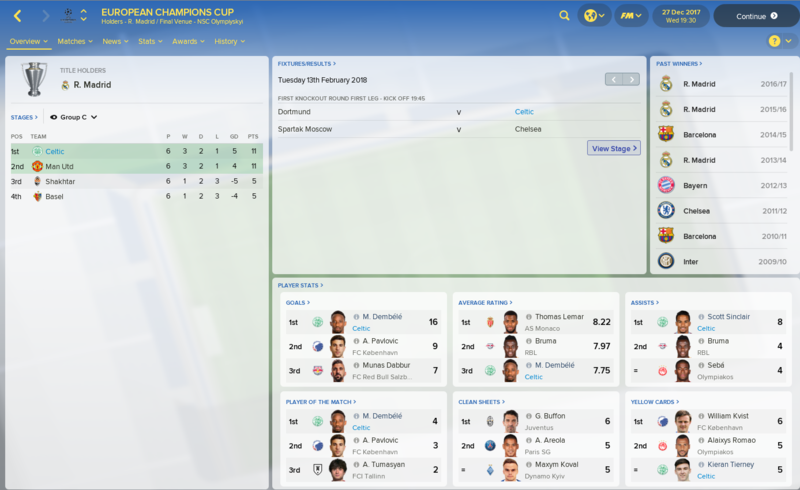 We have massively overachieved int he Champions League so far - with Moussa Dembele running the show scoring an incredible 16 goals in 12 games. Up next is German giants Borussia Dortmund. 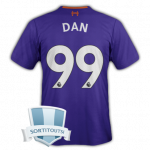 I'm wishing you the worst of luck with this @Sean_67. Another great month. 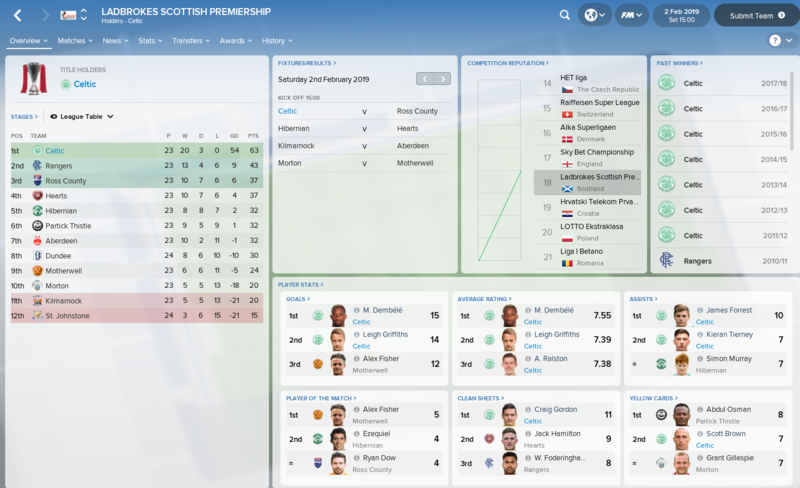 Max points, win over Rangers, Scottish Cup progress, Scott Brown back from injury and some good transfer business. 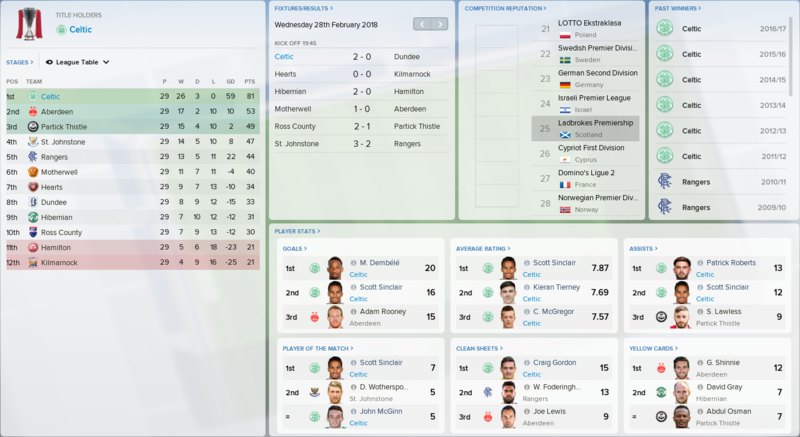 I think we might have broken the record for earliest league win - in February! Domestic form incredible once again this month while resting key players. 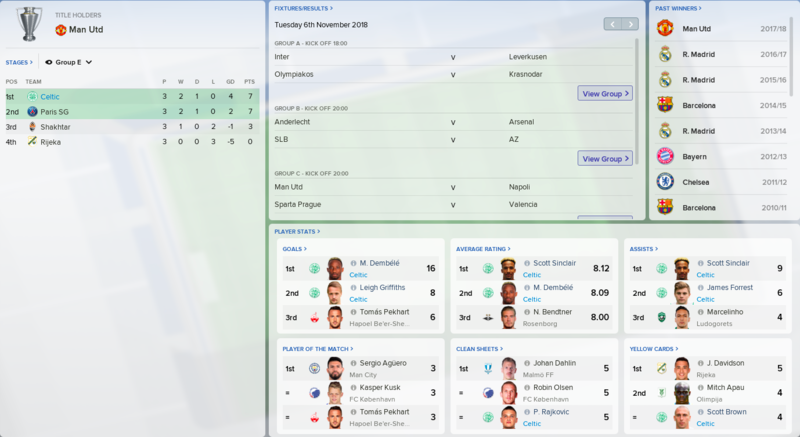 We somehow went over to Germany and gave Dortmund a beating putting us in the driver seat for a place in the next round. 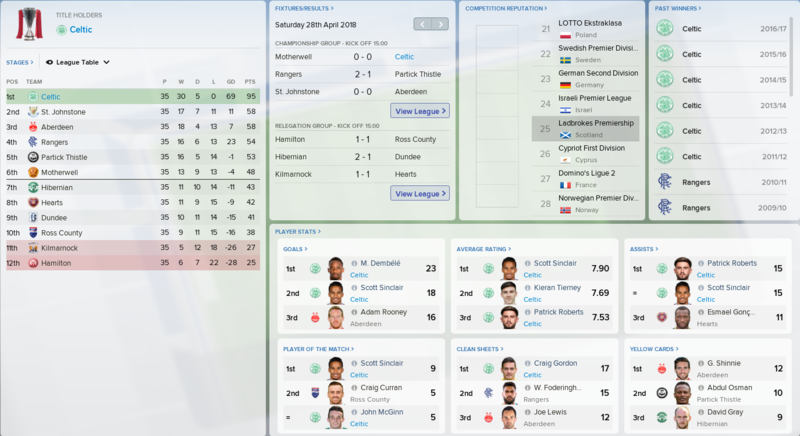 I'm a little surprised to see Rangers finishing so low down, especially considering I finished second with them on my save. Who took the vacancy btw and is he still in charge? @Shedender so am I to be fair. 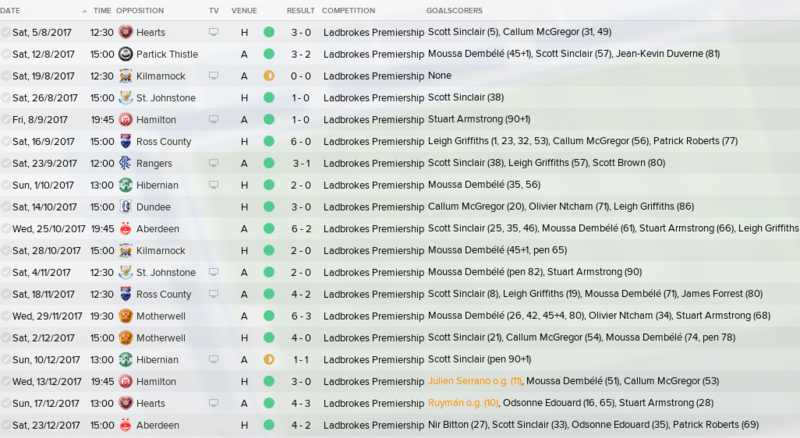 They've got 3 players on double digits with goals and Foderingham has 2nd highest clean sheet record. 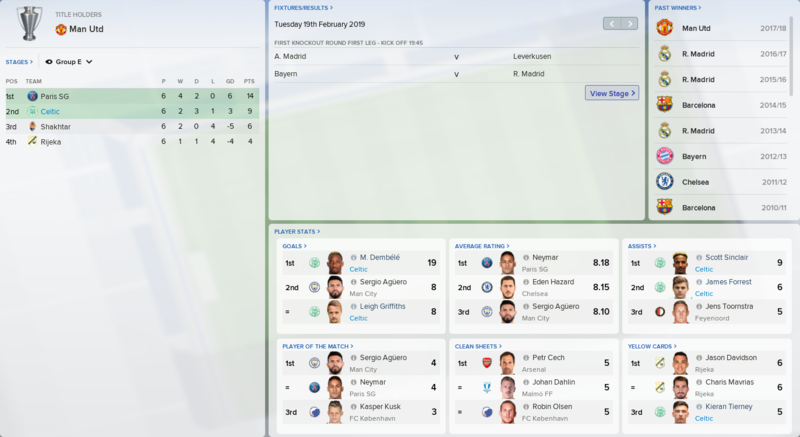 However between the beginning of December and the end of January they only won once in 9 games. Noo. 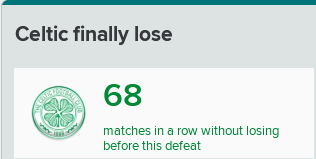 I can't handle Celtic doing another unbeaten season, even if it's on Football Manager. 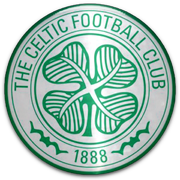 @Shedender only Thistle, Rangers St. Johnstone stand in our way. Also Aberdeen in the Scottish Cup. 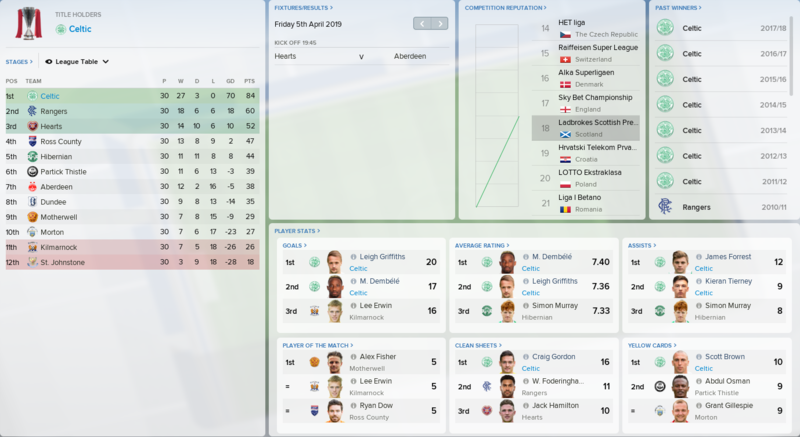 Well we done it again - another undefeated domestic treble. The following loans were extended. 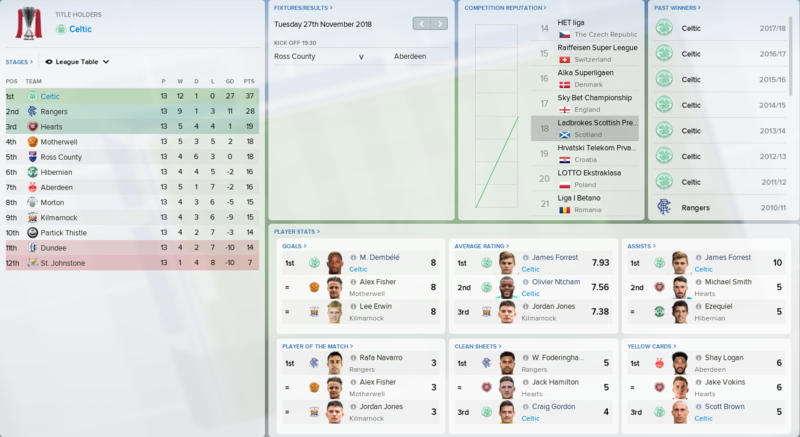 We were so close to losing our domestic undefeated run and going out of the League Cup. 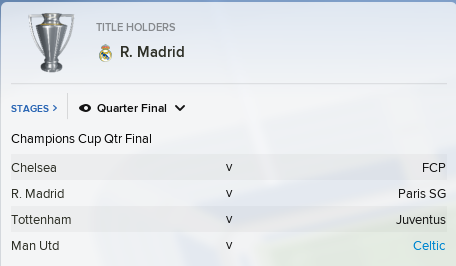 Not one but two injury-time goals led us into the final. January was quite the month. 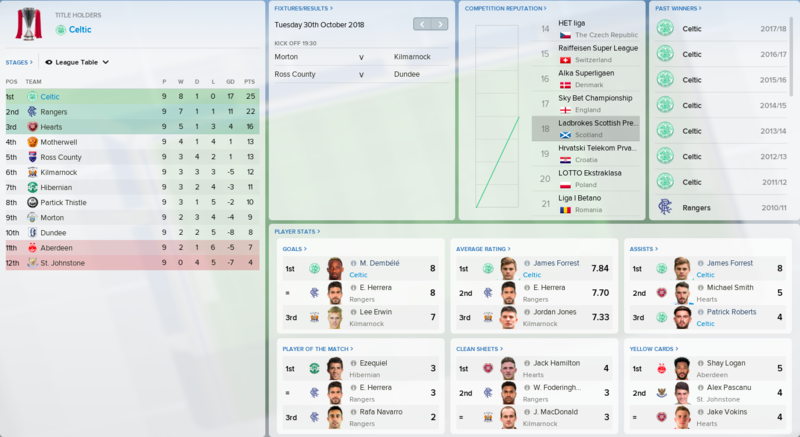 I brought in two Scottish centrebacks to drive up the number of home-grown players in the squad and broke the club transfer record in the process. 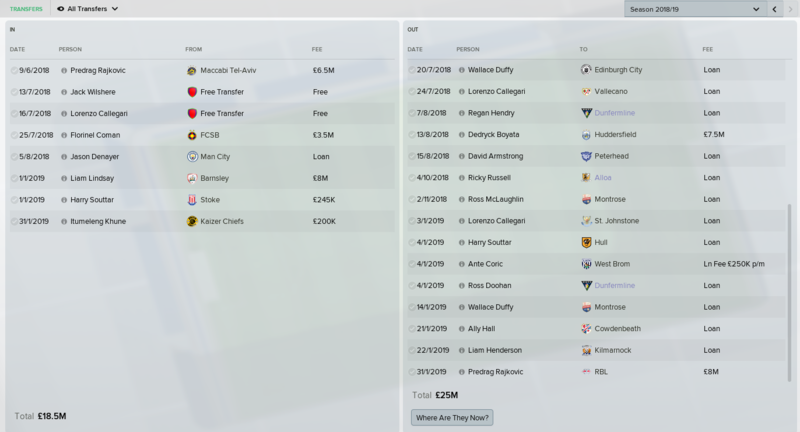 I replaced the keeper I brought in with Itumeleng Khune and made a small profit in the process. He just couldn't outperform Craig Gordon. 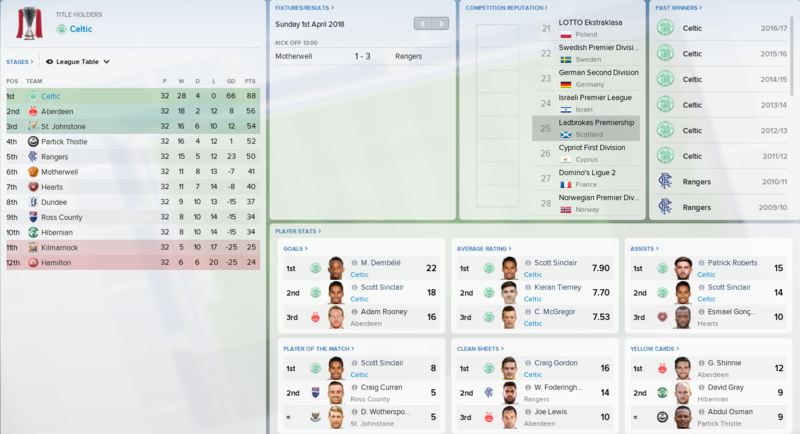 We beat Rangers comfortably twice and went 20 points clear. Well that was eventful. 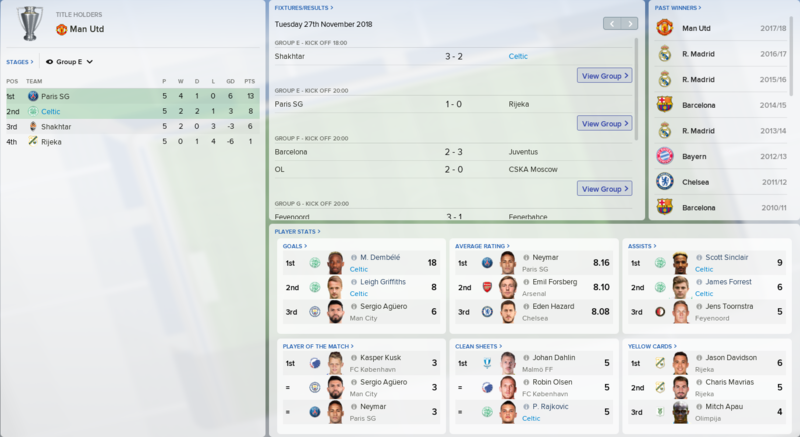 We finally lost after 68 (+39IRL) games.